The name Petty is synonymous with NASCAR, and it is also becoming commonplace in the NASCAR Hall of Fame. 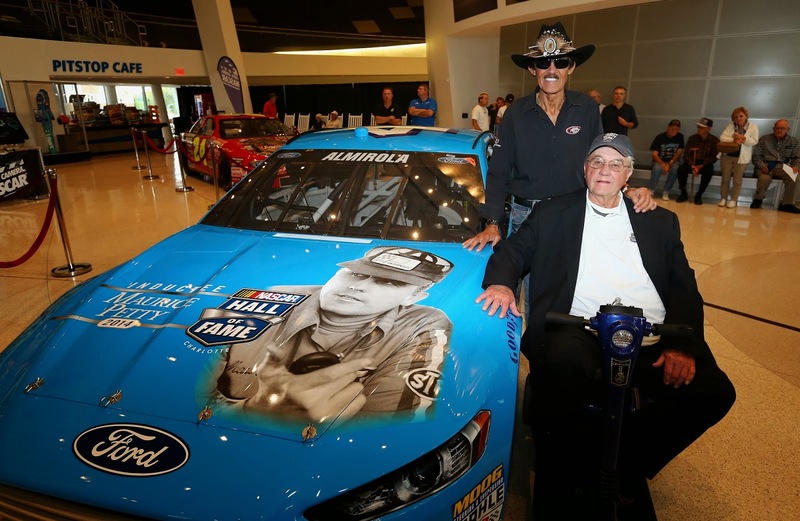 A Petty family member has been inducted into the Hall in four of its first five seasons, starting with Richard Petty in 2010, family patriarch Lee Petty in 2011, and long-time Petty crew chief and cousin Dale Inman in 2012. In 2014, Maurice Petty, Richard’s brother as well as Petty Enterprises’ co-owner, driver, engineer and crew chief, joins his family and fellow inductees Tim Flock, Jack Ingram, Dale Jarrett and Fireball Roberts in the Great Hall – here are a few Fast Facts on this multi-faceted inductee. Maurice Petty was born March 27, 1939 in Randleman, NC, part of the second generation of racing Pettys. He overcame polio as a child to go on to work on his father’s pit crew as a teenager. While Petty did drive for Petty Enterprises in 26 races between 1960 and 1964 – earning a top finish of third in the team’s No. 41 – he found his calling as the organization’s engine builder and sometimes-crew chief (with Pete Hamilton in 1970). As an engine builder, the man known as “Chief” built the engines with which his older brother won seven Daytona 500s and seven titles, as well as any of his 200 race wins; he also built winning engines for his father, Hamilton, Buddy Baker and Jim Paschal. Petty was a consultant for Dodge when the manufacturer came back to the Cup Series in 2001.